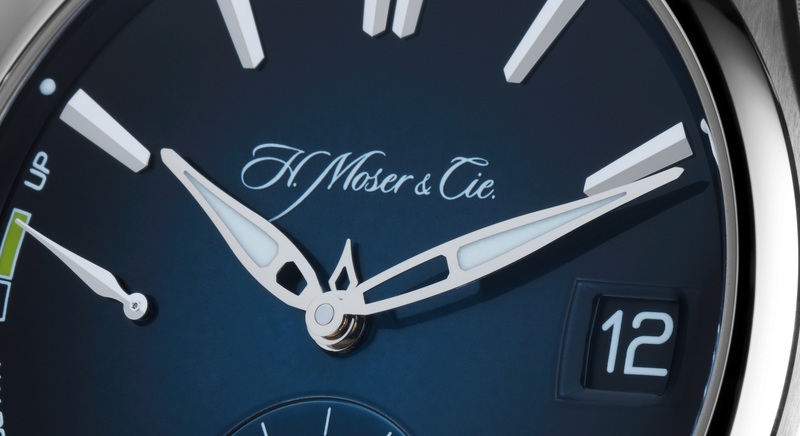 H. Moser & Cie. is a small, independent Swiss watchmaker, only producing about 1,200 watches every year. Many of you will possibly know H. Moser & Cie. because of its watches featuring a perpetual calendar. The Pioneer Perpetual Calendar was first introduced by Moser in 2015, first only in a pink gold version. 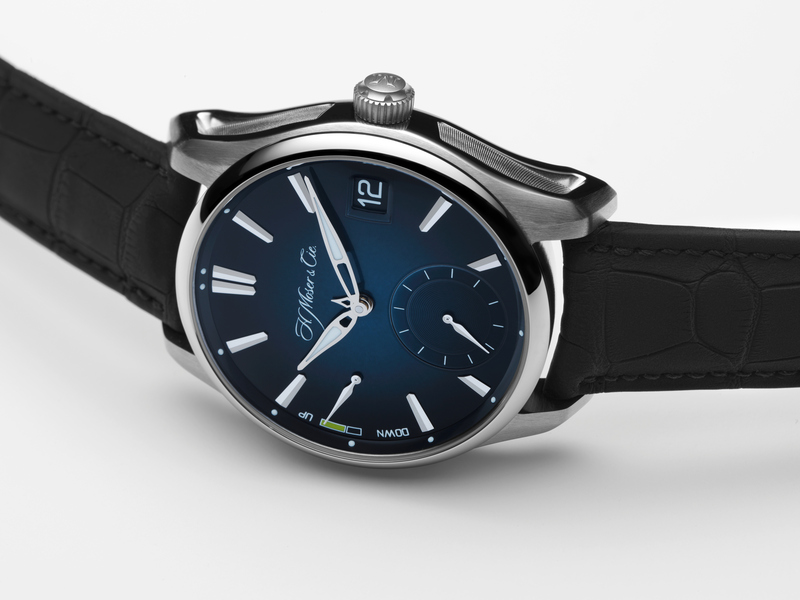 Now the manufacturer has presented a version in steel with a striking midnight-blue dial. But this is not the first perpetual calendar watch H. Moser & Cie. produced in a steel version – this would be the Perpetual Calendar Concept Funky Blue Dial. With the new Pioneer Perpetual Calendar there’s once more a deep-blue dial, but in this watch the case is bolder. The Pioneer Perpetual Calendar in Steel features a magnificent midnight-blue fumé dial. The luminescent dots on the flange and the hands filled with Super-LumiNova allow the display to be read at any time of the day. Many manufacturers lean on complicated dials for watches featuring a perpetual calendar – H. Moser & Cie. does nothing of that sort. The dial is simple, clean and absolutely easy to read. With this decision Moser stays true to its philosophy and the previous models of this watch. The perpetual calendar consists of two different displays. At 3 o’clock you will find a normal date window. And then there’s a small central hand which indicates the months. 1 o’clock symbolises January, 2 o’clock February and so on. 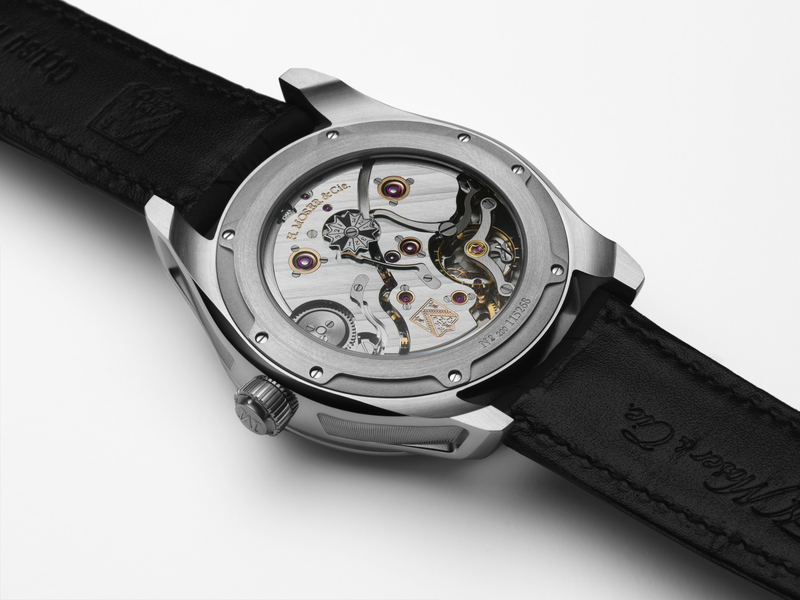 The leap year-display is placed on the bottom of the watch, visible through the sapphire case back. Apart from that you will also find a small second at 6 o’clock as well as a power reserve indicator at 9 o’clock. It is quite important to not lose sight of the latter because it can be a hassle to newly adjust a perpetual calendar. We would recommend to avoid that – and keep the movement wound. The H. Moser & Cie. Pioneer Perpetual Calendar in steel is powered by the HMC 800 calibre, a hand-wound mechanical movement. It provides a power reserve of at least seven days (or 168 hours), works at a frequency of 18,000 vibrations per hour and features a double barrel. 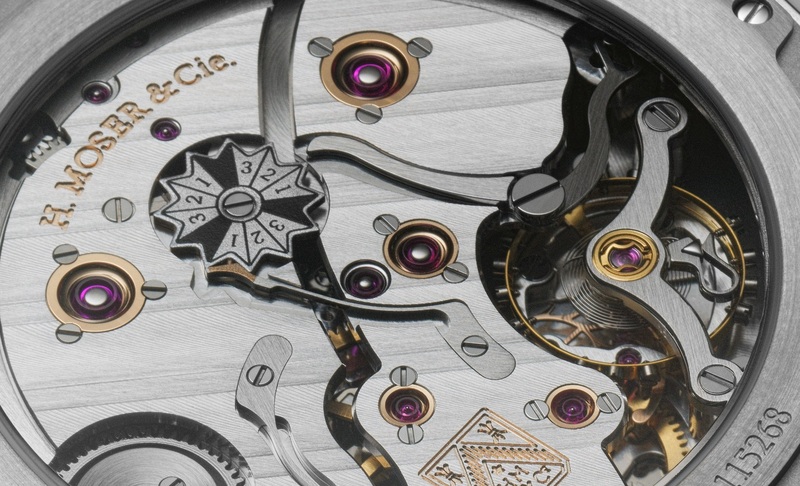 The movement is housed in a steel case with 42.8mm in diameter and 11.3mm in height. And: with this handsome watch you can also go scuba diving – the case is water-resistant up to 120 metres. For the strap, H. Moser & Cie. has chosen black alligator leather. Bolder, suited for everyday-wear and thanks to the steel case a little more affordable – with this watch H. Moser & Cie. created a beautiful timepiece many will want to have in their collection. This entry was posted in Mens watch and tagged H. Moser & Cie., mechanical movement, Men's Watch, perpetual calendar, stainless steel, wristwatch by admin. Bookmark the permalink.